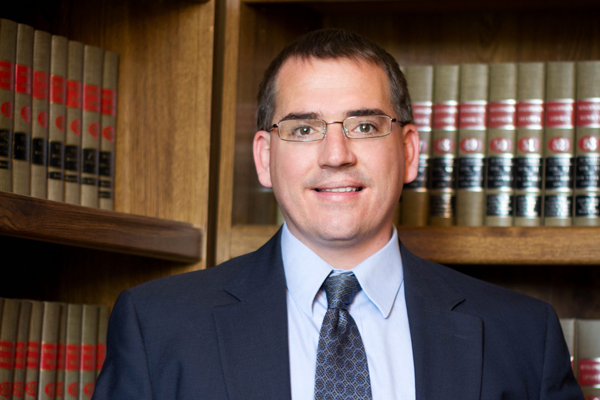 Bill Rinehart, Jr. practices in the areas of construction litigation, commercial collection, contract litigation, debt collection, creditors’ rights, commercial and retail/consumer collection, and commercial litigation. Bill Jr.’s clients range from small, locally owned businesses to Fortune 500 companies, and include banks, manufacturers, suppliers, distributors, dealers, hospitals, assisted living facilities, and health care providers. Prior to joining Rinehart, Scaffidi & Mathews, now Rinehart, Scaffidi & Rinehart, LLC, as a partner, Bill Jr. worked in the area of commercial litigation at Reinhart Boerner Van Deuren s.c., where he represented a range of business clients involved in warranty, contract, and supply chain disputes. Bill Jr.’s large firm litigation background fits nicely with RSM’s approach to helping clients hold others to their promises and allows Bill Jr. to handle contested or disputed collection matters efficiently. Winning over $50,000 judgment after trial for a demolition construction subcontractor who was not paid the contract balance and faced counterclaims in excess of $100,000. Securing settlement for 85% of construction concrete subcontractor’s claim after moving for summary judgment on a claim for account stated. The prime contractor sought an extension to file its reply brief and thereafter the matter was settled. Securing $50,000 settlement for a subcontractor—80% of the principal balance claimed due—the week before a hearing on the subcontractor’s motion for summary judgment on claims for breach of contract and theft by contractor. Collecting $250,000 for business client in single matter involving U.S. and Canadian debtor entities and claims of breach of contract and personal guarantees. Collecting over $60,000 in single matter for commercial lending client with a secured interest in accounts receivable. Collecting over $50,000 in single matter for commercial lending client with a secured interest in accounts receivable. Securing settlement of over $40,000 for client after locating debtor’s second home through asset search and initiating liquidation process. Representing suppliers and other businesses in matters involving payment disputes with Big Box and other large retail stores. Representing an out-of-state supplier in a commercial collection matter in which the debtor refused payment of nearly $80,000 for over a year and after being contacted by the supplier’s out-of-state attorney regarding payment. We were forced to file a lawsuit and subsequently settled the matter for the entire amount sought in the lawsuit, and collected the entire amount within six months. Prosecuting a Wisconsin garnishment action involving five depository accounts of the judgment debtor. We caught money is two accounts and secured an order requiring the non-exempt portion to be turned over in partial satisfaction of the judgment. Collecting judgment in full on behalf of a furniture supplier owed money by a Wisconsin debtor. Bill Rinehart, Jr. regularly represents businesses including furniture suppliers involved in contract disputes and debt collection matters. Securing judgment in full at a contested hearing despite debtor’s claims of fraud and misrepresentation. Settling and litigating dozens of collection claims involving receivables outstanding for 90 or more days and which involved counterclaims or the threat of counterclaims. Representing banks and other lenders in matters involving loan defaults, accounts receivable, and replevins. Collected over $100,000 on behalf of condominium association for past due maintenance fees.